Create a feeling that will be forever remembered with the Sensation Flute Glasses! There are many different options that can be considered when giving a corporate gift - glassware is a very popular option that is always well received by clients or staff alike. Wine glasses are popular for a number of different reasons. First of all a lot of people like drinking wine so anything that aides them in that pursuit is useful! 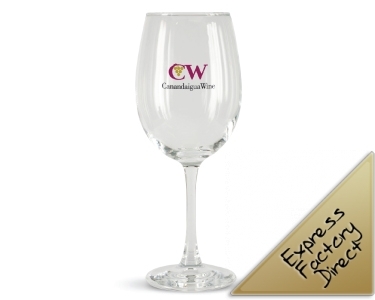 Secondly when giving such glasses that feature your logo you can be flexible - if the recipient is a great client you may give them not only a couple of glasses but a bottle of wine to go with it. The bottle can vary in quality and price meaning that there is budget flexibility when giving these glasses. Lastly as we can print your logo or message on these glasses they work as very effective Promotional Items - giving you brand exposure all the time! As can be seen we have a vast range of different branded wine glasses, so it is often a good idea to ask some questions to help narrow down your choice: who am I giving these to?, am I going to paring these with white or red wine?, how many are required? and how much do I want to spend? Different sized and shaped glasses are suitable for both red and white wine, others are suitable for both. After you consider these questions you set a meaningful budget. Our sales team here at BrandMe Promotional are here to help you make your selection of Promotional Wine Glasses. Once this has been done and you have placed your order we get our graphic designers to help put together a design that will feature your logo and or message to best advantage. When decoration these glasses we print them in any colour you may choose but also recommend what we call an 'etch print'. Very simply this is a print that looks like your glass has been sandblasted. This i sa popular decoration option as most glass buyers are looking for a subtle finish that is understated. We pride ourselves on our customer service and quality products. At the same time we are ever mindful of price - we understand that you want the best value supplies out there and will bend over backwards to help with lower pricing if that is what you want.